Hospice of San Luis Obispo County (Hospice SLO County) is a locally based 501c3 volunteer hospice serving San Luis Obispo County residents dealing with a life-limiting illness through providing in-home respite care, emotional, spiritual, practical and non-medical support; grief counseling support through group and individual counseling services; education about dying and death for professionals and the community through classes, workshops, trainings, book groups and outreach programs. At Hospice of SLO County we believe that no one should have to face serious illness, dying, death or grief by themselves. It's that belief that has motivated our staff and volunteers to serve our Central Coast community since its incorporation in 1977. 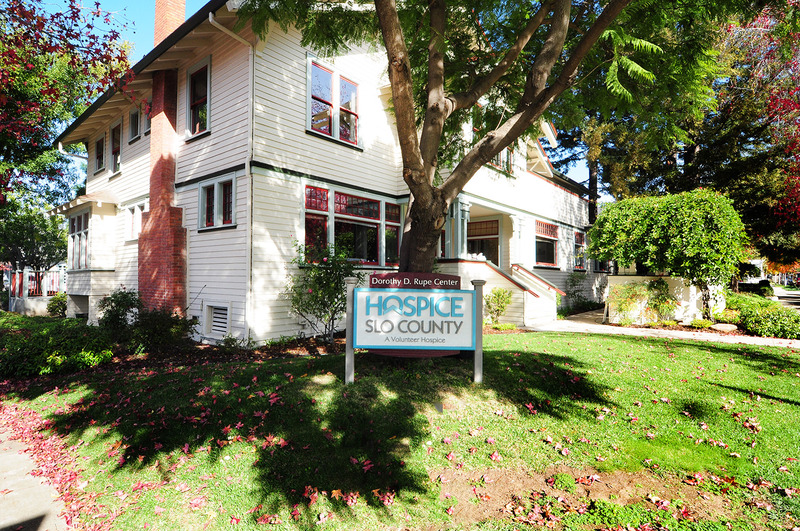 As the only volunteer hospice in the county, Hospice of SLO County does not bill any insurance, clients or their families and all services are provided without charge. We rely 100% on the generosity from community donations, fundraising events, grants, and the time and talent of over 200 volunteers to compassionately help more than 5,000 individuals annually. Our heart is a drum; it beats with a natural rhythm of life… Join us for our monthly Heart Rhythms Drum Circle on the first Friday of every month. Follow the leader for a two-hour session of drumming as a group. Drumming can relieve stress, release tension and provide an outlet for anxiety. When we drum together, we embrace community and escape isolation. Join us for our annual Rummage Sale for Hospice SLO County on Saturday, May 11, 2019! This rummage sale will take place from 9 am – 1 pm at Hospice SLO County Parking Lot, 1304 Pacific St, San Luis Obispo (on the corner of Johnson Ave and Pacific St, across from the Smart n Final shopping center). Every year, this rummage sale is presented by the Cuesta College Alpha Gamma Sigma Honor Society. AGS supports members in reaching their goals by encouraging achievement and community service, building social and professional networks, and providing the information and focus needed for success. All proceeds benefit Hospice SLO County, providing free services to SLO County residents who are facing a life-limiting illness, end of life or grief. In recognition of Healthcare Decisions Day (Tuesday, April 16), Hospice SLO County invited community members to share their experiences with saying goodbye to a dying person in their life. Please know that these words, art and perspective will help spread awareness about the importance of advance care planning and some of the many ways of saying goodbye in times of dying. We extend a warm thank you to everyone who shared their heartfelt work. Our committee was truly moved and inspired by your artwork, poetry and essays.